Over the past 12 months, Cameron has worked tirelessly to generate quality organic traffic to Bike Chaser that makes us unique. As a bicycle marketplace that connects consumers and local bike shops, we believe we're cultivating a different type of audience that is educated about the value of a local bike shop. With tens of thousands of organic monthly users, WE NEED MORE BIKE SHOPS using the Bike Chaser marketplace to service the needs of our users, looking for products and a relationship with the local bike store. The local bike shop underpins Bike Chaser’s vision of creating a community focused platform for sellers and buyers to connect and trade. While many websites continue to drive a race to the bottom, we understand and appreciate the role bike shops play in the community and recognise the importance of strengthening your presence. The online world is evolving and the consumer is savvier than ever. Our goal is for Australian consumers to see their local bike shop as not just a price tag, but a destination for great products and quality service. Create an account and choose your preferred bike shop plan. 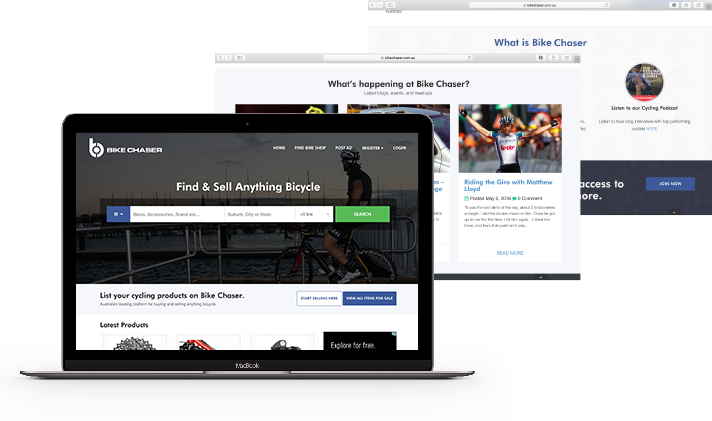 Create your tailored shop page and list your products on the Bike Chaser platform. Buyers will be able to enquire about your products and services via the Bike Chaser platform or over the phone. You finalise the sales process in-store. Differentiate yourself from the masses through verified customer reviews. List products with no click-basedcommissions. Create your own tailored shop page. Get leads from potential customers, solicit customer reviews and promote your service strengths. Our aim is to generate leads to your bike shop business. 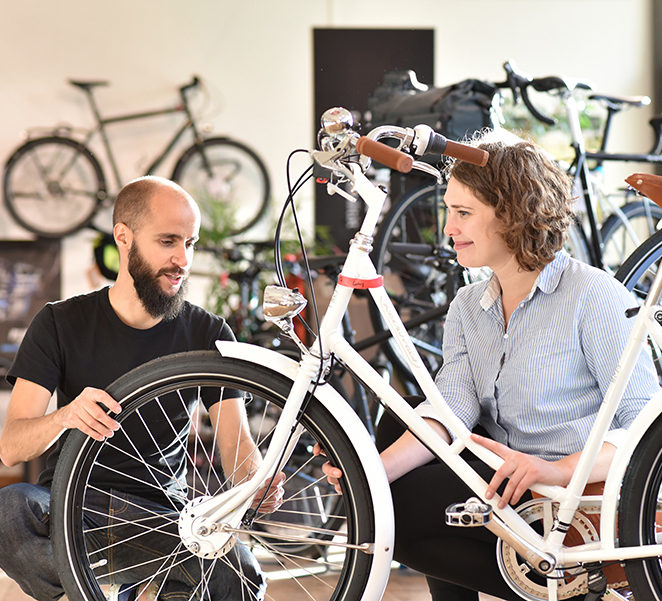 As a bike shop, you cannot control an Internet user’s search behaviour but you can ensure your shop is visible when they are searching for a new bicycle online. We appreciate the importance of having your own unique shop page so consumers can learn about your product offering and service differentiators, such as fittings, shop rides and events. Perhaps most importantly, we’ve been watching the way online shopping is evolving. Airbnb and Uber - two of the most compelling online platforms in recent years - have put trust and quality back on the agenda through customer reviews. Why? Because customer service shouldn’t be a hidden variable that sits behind an online price. It’s an important factor in the new online consumer’s buying decision.